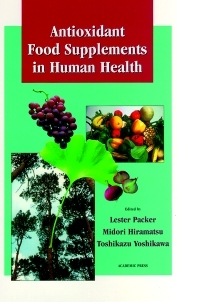 Antioxidant Food Supplements in Human Health discusses new discoveries in the areas of oxygen and nitric oxide metabolism and pathophysiology, redox regulation and cell signaling, and the identification of natural antioxidants and their mechanisms of action on free radicals and their role in health and disease. An essential resource for researchers, students, and professionals in food science and nutrition, gerontology, physiology, pharmacology, and related areas. Health Effects of Antioxidant Nutrients: P. Knekt, Vitamin E and Lung Cancer Prevention. G. Duthie, Natural Antioxidants in the Protection Against Cigarette Smoke Injury. Nutrients: Vitamins C and E: G.G. Block, Emerging Role of Nutrition in Chronic Disease Prevention: A Look at the Data, with an Emphasis on Vitamin C. M.G. Traber, E.A. Servinova, and L. Packer, Biological Activities of Tocotrienols and Tocopherols. N.K. Özer, S. Taha, A. Stocker, and A. Azzi, Effects of High Cholesterol, Vitamin E, and Probucol on Protein Kinase C Activity and Proliferation of Smooth Muscle Cells. H. Sies, L.-O. Klotz, V.S. Sharov, A. Assman, and K. Briviba, A New Function for Selenoproteins: Peroxynitrite Reduction. M. Maiorino, Selenium-Peroxidases in Mammalian Testis. a-Lipoic Acid. C.K. Sen, S. Roy, and L. Packer, a-Lipoic Acid: Cell Regulatory Function and Potential Implications. 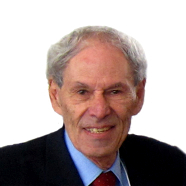 J.K. Lodge and L. Packer, Natural Sources of Lipoic Acid in Plant and Animal Tissues. T. Konishi and L. Packer, Determination of Protein Bound Lipoic Acid in Tissues by Enzyme Recycling Method. Coenzyme Q10: E. Cadenas, J.J. Poderoso, F. Antunes, and A. Boveris, Reaction of Ubiquinols with Nitric Oxide. T. Kishi, T. Takahashi, and T. Okamoto, Coenzyme Q Redox Cycle as an Endogenous Anioxidant. Carotenoids: W. Stahl and H. Sies, Carotenoids: Occurrence, Biochemical Activities, and Bioavailability. F. Khachik, J.S. Bertram, M.-T. Huang, J.W. Fahey, and P. Talalay, Dietary Carotenoids and Their Metabolites as Potentially Useful Chemoprotective Agents Against Cancer. H. Nishino, Cancer Prevention by Natural Carotenoids. Flavonoids: C. Rice-Evans, Screening of Phenolics and Favonoids for Antioxidant Activity. J. Terao, Dietary Flavonoids as Plasma Antioxidants on Lipid Peroxidation: Significance of Metabolic Conversion. G.R. Beecher, Flavonoids in Foods. P. Pietta and P. Simonetti, Dietary Flavonoids and Interaction with Physiologic Antioxidants. Natural Source Antioxidants: Pine Bark: G. Drehsen, From Ancient Pine Bark Uses to Pycnogenol. F. Virgili, H. Kobuchi, Y. Noda, E. Cossins, and L. Packer, Pro-cyanidins from Pinus Maritima Bark: Antioxidant Activity, Effects on the Immune System, and Modulation of Nitrogen Monoxide Metabolism. Ginkgo biloba M.-T. Droy-Lefaix, Antioxidant Properties of Ginkgo biloba Extract: EGb 761. S. Roy, H. Kobuchi, C.K. Sen, M.-T. Droy-Lefaix, and L. Packer, Down-Regulation of Agonist-Induced Nitric Oxide Synthesis and Cell-Cell Adhesion by Ginkgo Biloba Extract EGb 761: Therapeutic Efficacy in Circulatory Disorder. A. Gozin, H. Sellak, E. Franzini, and C. Pasquier, Reactive Oxygen Species Increase Neutrophil Adherence to Endothelial Cells and Activate Tyrosine Phosphorylation of Cytoskeleton Proteins. Wine and Herbs: E.N. Frankel, Natural Phenolic Antioxidants and Their Impact on Health. T. Okuda, Antioxidants in Herbs--Polyphenols. M. Hiramatsu and M. Komatsu, Mixed Japanese Herbs and Age-Related Neuronal Functions. Y. Hara, Actions of Tea Polyphenols in Oral Hygiene. S.A. Wiseman, U. Weisgerber, L. Tijburg, and O. Korver, The Food Industry and Functional Foods: Tea Antioxidants and Cardiovascular Disease. T. Yoshikawa, Y. Naito, Y. Masui, T. Fujii, Y. Boku, N. Yoshida, and M. Kondo, Antioxidant Properties of Crassostera Gigas Oyster Extract. Uyaku and Carica Papaya: Y. Noda, A. Mori, K. Anzai, and L. Packer, Superoxide Radical Scavening Activity of Uyaku (Lindera Strychnifolia), a Nautral Extract Used in Traditional Medicine. H. Kobuchi, N. Haramaki, L. Marcocci, and L. Packer, Biological Effects of the Fermentation Product of Carica Papaya (Bio-Normalizer). Subject Index.